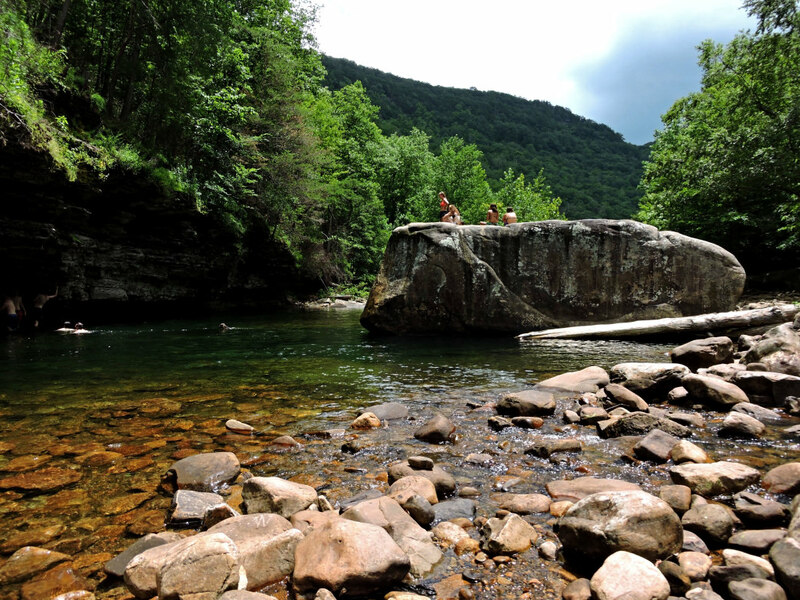 A series of seriously awesome swimming holes make this destination an absolute must during the summer months. Anywhere from a 10 minute to 30 minute hike (or more), it depends on how far you would like to go. It's a short hike, but you will want to spend some time exploring! July and August in Chattanooga yield absurd humidity to go along with 100 degree days. When this time comes, be sure to head to the Montlake Blue Hole for one of the best swimming hole experiences you can find in the Chattanooga area. 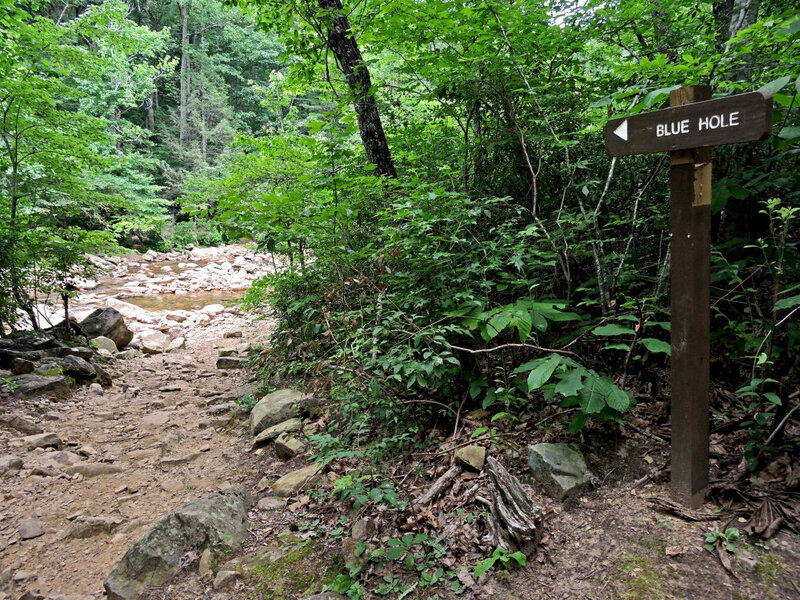 The Blue Hole, as it's locally known, is just 20 minutes from downtown in the North Chickamauga Creek Gorge. This is some of the most beautiful country in the southeast, with a huge watershed and several creeks cutting deep gorges into Walden's Ridge and the Cumberland Plateau. 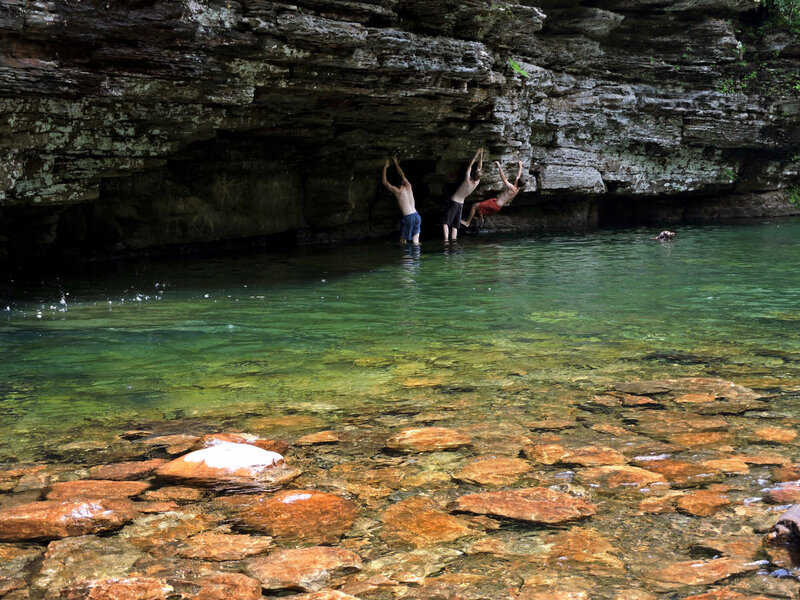 From the parking lot on Montlake Road, it’s an easy hike to a number of blue holes, any of which are great for a summer plunge. The trail begins as an old jeep road that soon crosses the creek (bring shoes you don't mind getting wet). Go as far as you like to find your perfect spot. 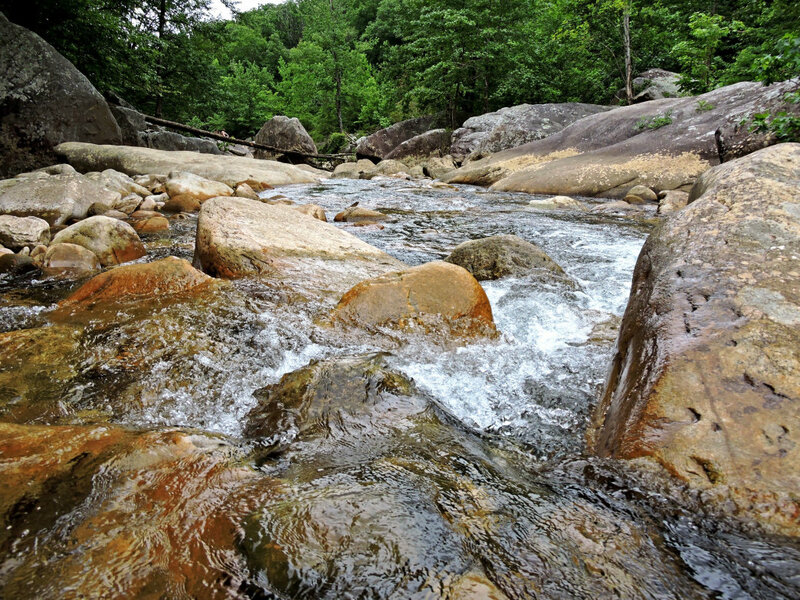 The creek is littered with boulders which disrupt the stream and form the numerous swimming holes. In some places, these clear pools can be over ten feet deep. The myriad boulders also provide decent recreational bouldering. You may even find a great rope swing if you hike far enough in. Those who prefer their swimming pools to be of the natural persuasion. It's a great place to splash around. Find your favorite pool! Directions from Swimmingholes.org:"Go north on RT 27 out of Chattanooga to the intersection with RT 153. Go 2.8 miles more on RT 27 (not the freeway; Dayton Pk.) to Montlake Road. At a signal where a sign says "Montlake Country Club" (well before you get to Soddy Daisey) go west (left) on Montlake Rd. Go 1.1 miles on Montlake Rd. 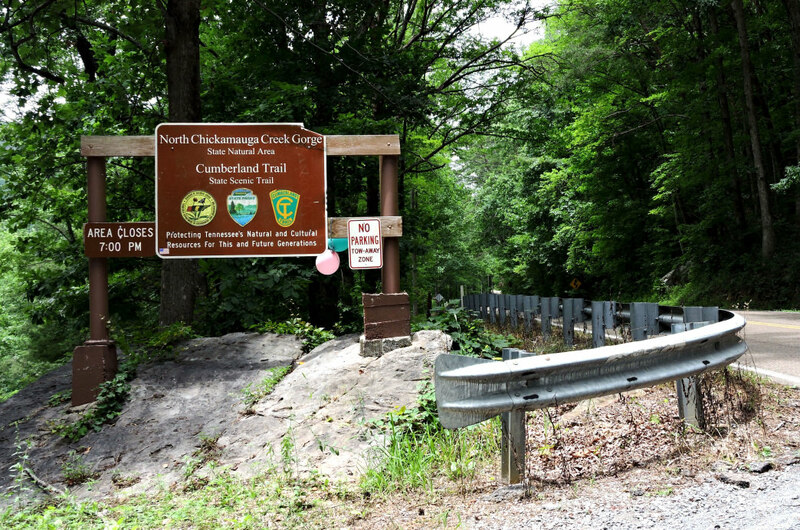 to sign that says "North Chickamauga CREEK GORGE". Turn left here down gravel drive and straight continue ahead to the far west end of the large gravel area and park. The trail to the swimming hole(s) begins at the far west end of the parking area. The trail is very large - large enough to drive a car through, but it is blocked off. Follow the trail upstream and you will begin to see swimming holes after about 10 minutes. 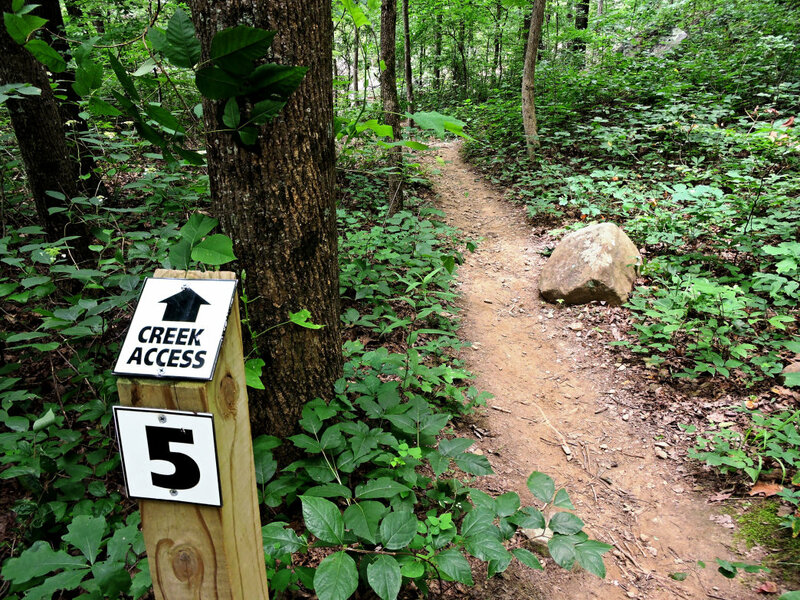 Eventually the trail will take you across the creek. 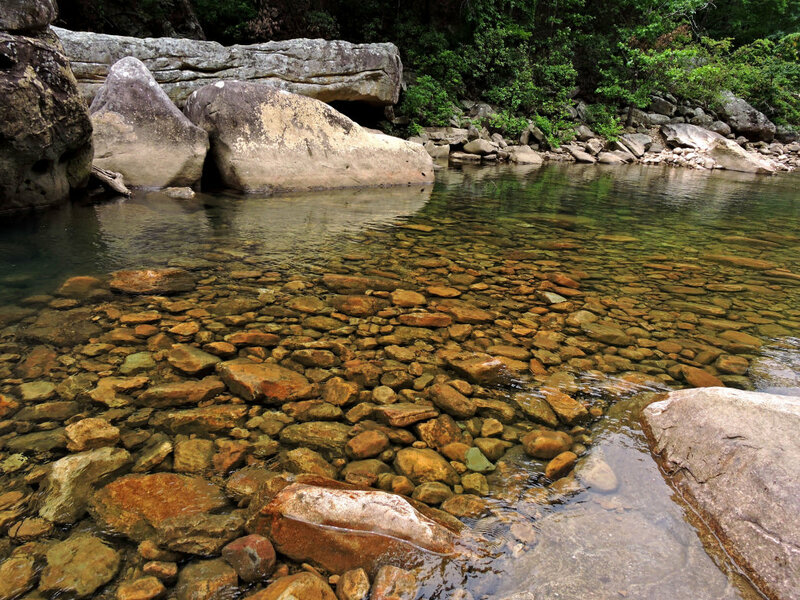 After you cross the creek, you will come to the first large swimming hole." Plan to be back by dark or you risk having your car locked inside the gate (overnight parking is by permit only).